"An ethical man is a Christian holding four aces." So said Mark Twain. But practicing Christians, at least, want to be ethical in all areas of life and work--not just when they are holding four aces. To those faced with the many questions and quandaries of doing business with integrity, Alexander Hill offers a place to begin. Alexander Hill carefully explores the foundational Christian concepts of holiness, justice and love. 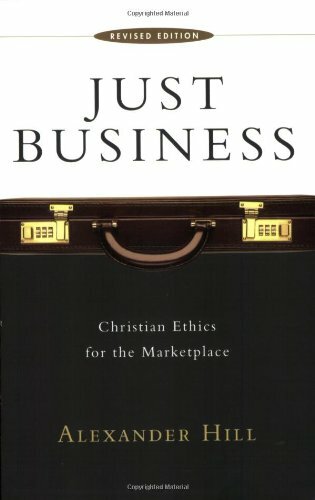 These keys to God's character, he argues, are also the keys to Christian business ethics. Hill then shows how some common responses to business ethics fall short of a fully Christian response. Finally, he turns to penetrating case studies on such pressing topics as employer-employee relations, discrimination and affirmative action, and environmental damage. This is an excellent introduction to business ethics for students and a bracing refresher for men and women already in the marketplace. ISBN13: 9780830826766 Condition: New Notes: BRAND NEW FROM PUBLISHER! 100% Satisfaction Guarantee. Tracking provided on most orders. Buy with Confidence! Millions of books sold!